If you think you can beat the stock market, don’t bother reading this post. This post is about a startup that wants to make investing boring and predictable, which is something most of the investing public could use right now. MarketRiders has actually been in beta for about a year, and now it is ready to be tested by a broader group of investors. The idea is simple: If you get your asset allocation right and eliminate management fees, you can boost your returns and outperform nearly every actively traded fund over the long haul. A better strategy, he thinks, is simply to buy a variety of exchange-traded funds which index different markets and then periodically re-balance your portfolio. Rebalancing means trimming back the (inflated) winners and buying the (cheap) losers, which requires discipline and emotional detachment. 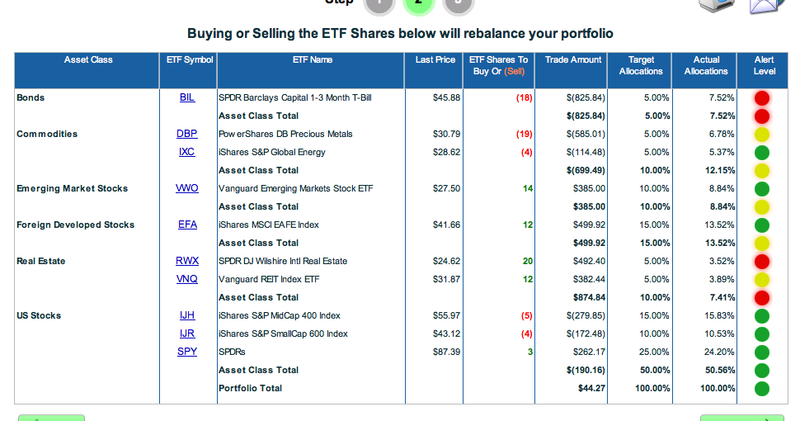 MarketRiders helps you come up with an asset allocation strategy appropriate to your age and investment goals, suggests ETFs to buy, and then sends you rebalancing alerts whenever necessary. 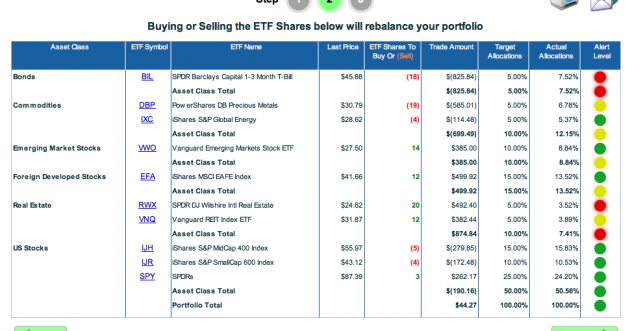 ETFs have very low fees, which help overall returns. You still need to take the suggestions and place orders with your broker—a detail which introduces some friction into the process. But once you have your account set up, it tracks everything automatically. Still, for the $9.95/month MarketRiders is asking, it could at least hook up with your brokerage account and do the re-balancing automatically. Nevertheless, Tuchman is on a mission: “I am trying to save people from the biggest con game in the country right now.” If you feel comfortable taking an active role in managing your own money and can attend to it on a regular basis, you can give MarketRiders a free try for a month. You can click on the image below to see a screenshot showing a typical portfolio, along with the alert levels (red means sell, green means buy).